For at least a decade now, stories have been coming out about how the National Football League, in its desire to keep the most popular sport in America so popular, has downplayed, ignored and downright lied about how serious the concussion problem has been among its players. Each story has chipped away at the NFL’s power only a tiny bit, as despite player after player dying early, and so many of their brains showing major damage from a lifetime of hits, the public has generally ignored the reports and continued to watch the sport. I’m not exempt; I have read many of the stories and then continued to enjoy my autumn Sundays watching the sport I love. But Wednesday I watched the outstanding new PBS documentary, “League of Denial,” and I don’t know if I’ll ever watch the sport the same way again. Produced by PBS and starring two ESPN reporters who just wrote a book called “League of Denial,” the two-hour show takes us through the history of the concussion epidemic, and how callously and blithely the NFL ignored the research done on the brains of former players like Mike Webster, Ricky Watters and others. Research that showed a devastating deterioration of the brain after millions of collisions. Then-NFL commissioner Paul Tagliabue and his cronies in the 1990s and early 2000s not only ignored scientific evidence, they went out of their way to smear and attack the reputations of doctors like Bennett Omalu and Ann McKee, who God forbid dared to present actual proof that playing football could be bad for your long-term mental acuity. The documentary is painstakingly precise and paints a portrait of a league that, for all its phony B.S., didn’t care enough about its players to even acknowledge that there was a problem. “League of Denial” isn’t going to suddenly make NFL football less popular. But it’s an extraordinary indictment of the NFL, and I highly recommend watching it. It’ll be on PBS a few more times this month, but here’s a link to the full show available online. **Next up, this ad looks like it could totally be real; for the first few minutes of this I was totally believing it. It’s about a guy named “Dave” who says he lives inside a cube at Astor Place in New York City; would not surprise me in the least if it had turned out to be a real thing, not just an ad. Still, really brilliantly done ad. **Finally today, this was pretty awesome. 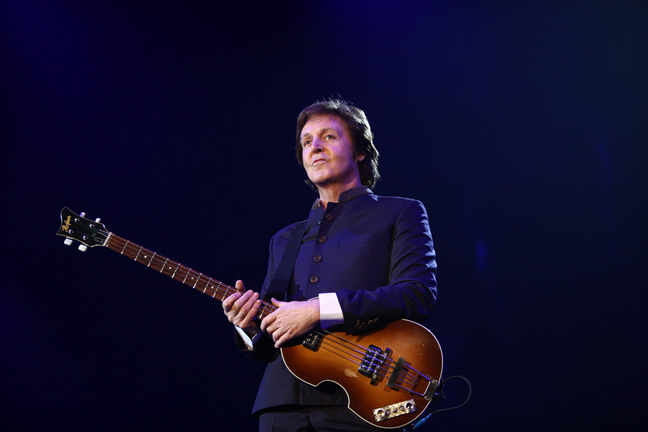 Paul McCartney played a bunch of old Beatles songs, and some of his new tunes, to a school-full of teenagers at a New York-area school Wednesday (hat tip to loyal reader Sanford for pointing me to this story). Happily, the teenagers seemed to know the old Fab Four songs, singing along and getting pretty excited for the old geezer. There’s hope for the future yet, my fellow Americans. Finished an amazing book the other night, one I thought I wrote about when it came out but alas, I had not. I first learned about Dirk Hayhurst, a minor league baseball pitcher, a couple of years ago when someone sent me a blog post he was writing for his hometown newspaper in Canton, Ohio. It was smart, witty and remarkably level-headed. I remember sending it to a few people I know because I was so stunned that an athlete had so captured his sport, in writing. 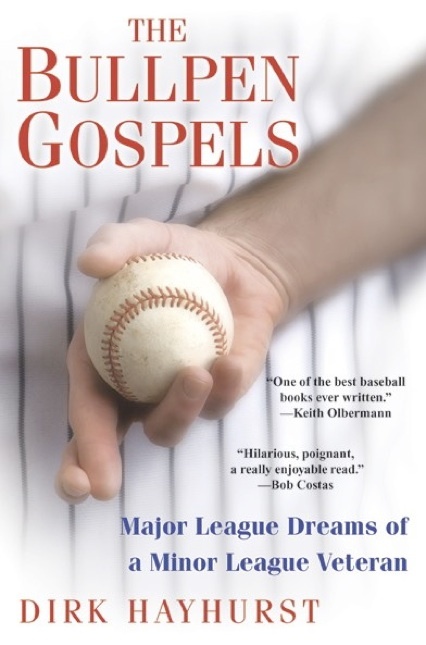 It’s a baseball book, but really it’s a life book. There is some incredibly juvenile stuff in here, but that’s what life on a minor league baseball team is sometimes. Some of the book is dark, as Hayhurst, definitely no-longer a big-league prospect, struggles with his failures on the field, his brother’s alcoholism and how it’s affected his family, and whether he should just quit. The book is also riotously funny, and wise, and the last 20 pages will knock your socks off. I highly, highly, highly recommend this book. If you want a taste of his writing, this is the blog post from a few years ago that got me so charged up about him. Now, I love food. As much as I love breathing, pretty much. But this was one of those meals where as you’re walking out of the restaurant, you exhale and say to yourself, “Damn, that was a great meal!” You know those kind? I knew you did. **So I watched a few minutes of the Kennedy Center Honors program on CBS last night. Didn’t get home in time to see the Oprah tribute, but saw the Paul McCartney stuff toward the end. As I watched Gwen Stefani and others “honor” Paul, I wondered how someone like him feels at that moment. Like, it’s great to be honored and worshipped by millions, but watching people who weren’t even born when you recorded “Let It Be” and “Hey Jude” sing them, while you’re sitting there high atop a luxury suite? Methinks that has to be a little strange. 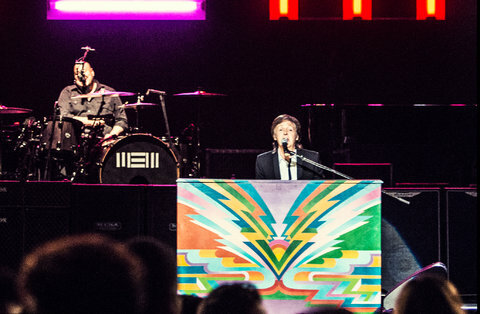 I’m wondering if McCartney and the other brilliant musicians who’ve been honored by the Kennedy Center ever want to just run down there and yell “Hey! Enough! I get that you love me.